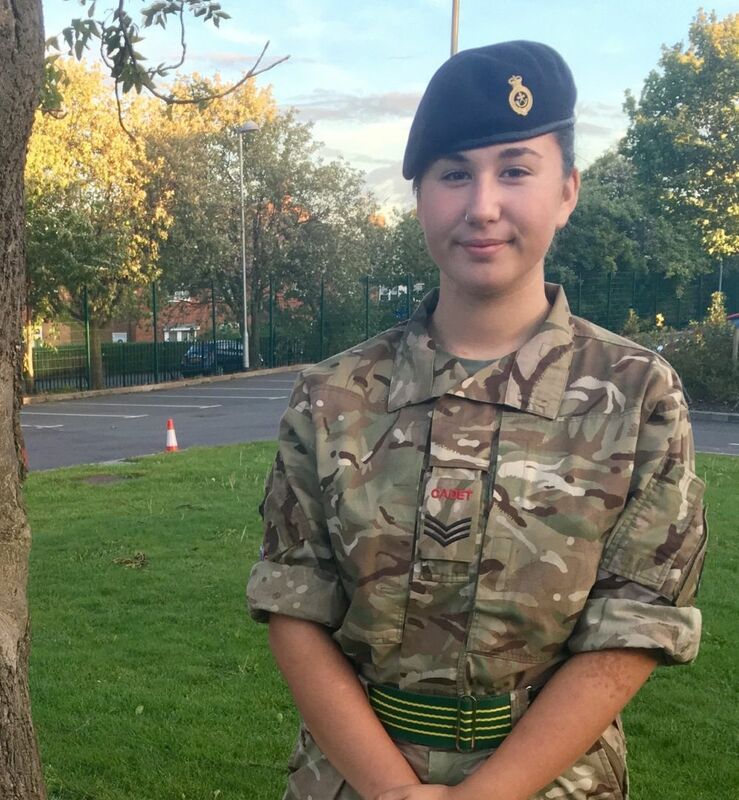 A cadet from Nottingham used the first aid skills she learned in the ACF to assist a man injured following an accident with a tram. Cadet Sergeant Madison Martinez, aged 16, who studies computer science, biology and history at Nottingham University Academy of Science and Technology (NUAST), was travelling last month to her lessons when the tram on which she was travelling came to a standstill. As soon as she heard a man had been injured, she pulled the emergency door release and made her way to the front of the tram to see what had happened. She said: “I didn’t think twice when I heard someone was hurt, I have learnt first aid skills in the ACF and know that acting quickly can make a positive difference." First, she says she reassured the man, then got some basic information including his name and where the injury was. "I used a hair band I had on my wrist to pull his long hair up and out of the way, I then applied pressure to his head to stop the bleeding. I asked someone to ring an ambulance and another person put their coat around him to keep him warm as we could see he was in shock. “We just tried to keep him warm and comfortable in his time of need. One of the women helping me rang the man’s work to explain what had happened and that he wouldn’t be coming into work. It was a really good example of constructive teamwork. “When the paramedics arrived I explained what had happened and the relevant timings, then went on with my day. If I wasn’t in the cadets, I wouldn’t have learnt first aid and therefore wouldn’t have been able to help. I think everyone should learn some basic first aid skills if they haven’t already as you just never know when they may be needed."